xFact determines if the given use case can be solved using AI. If the use case can be solved, we proceed with the use case. If not, we let our clients know that the given use case not be solved by AI and let them know why (i.e. advancements in AI are not ready for the use case). Developing an AI system requires a stream of data, the exploration of data, and constant iteration. After the first iteration xFact ’s data science team knows much more about how the data can address the business problem. That way the next iteration will be much more well-informed and closer to the target state. It is important for all stakeholders to approve of the model’s performance before moving anything into a production environment. 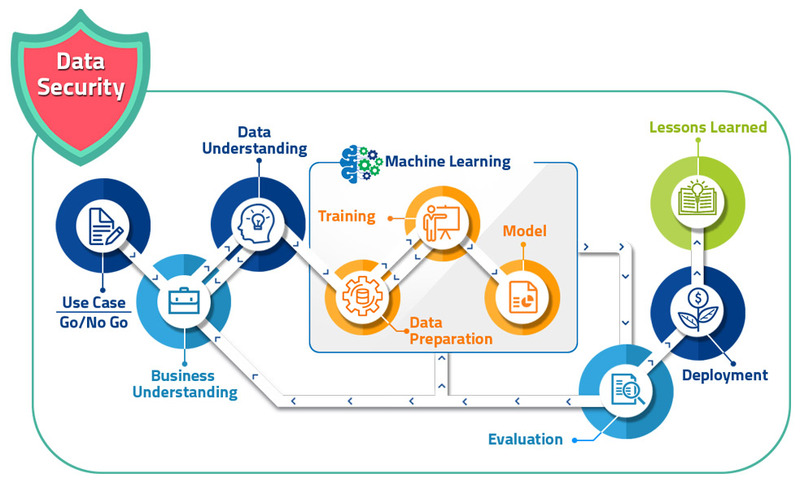 Machine learning allows a computer program to learn from data without relying on rules-based programming and enables the program to continuously learn. Machine learning generally uses two types of techniques supervised learning which trains a model on a known input and output data so that it can predict future outputs and unsupervised learning which finds hidden patterns or intrinsic structures in input data. xFact will select the best machine learning technique for the business problem.